Top Left to Right: Wesley, Jenny, and Justin. Finding a balance between carrying on family farming traditions and adopting new practices for the future can be a challenge for many farmers and livestock producers. Gary Wedewer is the fourth generation to live on the farm in northeast Iowa that was started in 1882 by his great grandfather. Decisions that Gary has made has allowed the Century Farm to transition to his own son Justin Wedewer in recent years. 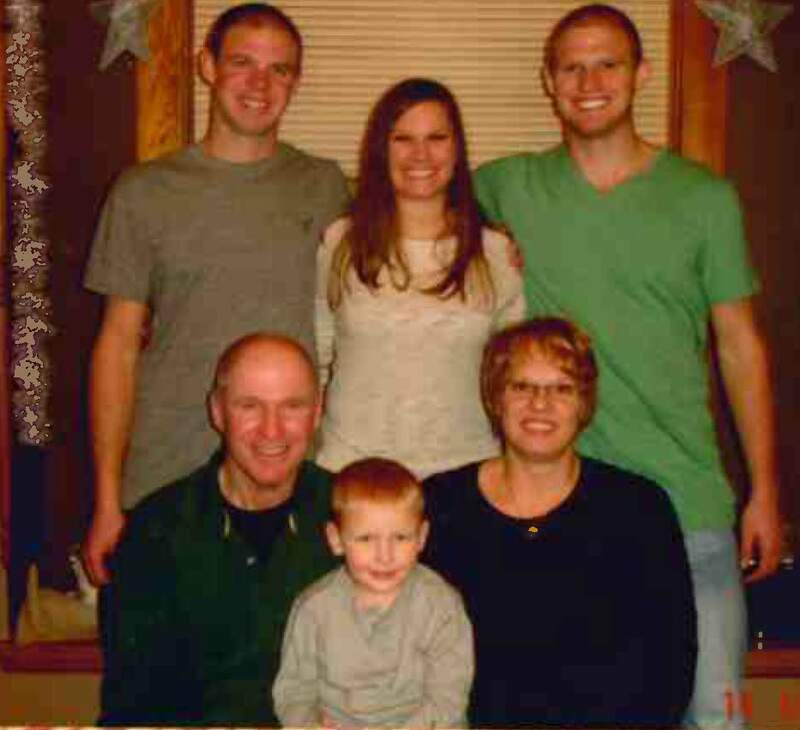 Gary and his wife Carol have been married for 33 years and have three grown children, Jennifer, Justin, and Wesley, and one grandson, Luke Gary. Gary credits his decision to buy shares in the Pipestone System’s Prairie Gold farrow to wean barn near New Vienna when it was being built in 2001 as an important turning point in his operation. “One of the best decisions we ever made was to become a partner in Prairie Gold system,” said Gary. Gary had been running a farrow to finish operation with about 400 sows. They were able to finish about 6,000 pigs per year. When he became a shareholder Prairie Gold with Pipestone System, they sold the sows and were able to expand the finishing operation. They now finish about 17,000 pigs each year. They also raise crops, with nearly all the corn raised on the farm going to livestock feed. The training and resources provided by Pipestone System allowed Gary to set up processes for barns and his operations that helped him manage through health issues, as well as prepare for a successful transition to the next generation. Gary is now semi-retired and his son Justin Wedewer and long-time employee Tony Davidshofer are managing most of the farm operations. Justin had worked off the farm after graduating from college, and was able to transition back to the farm full time about four years ago. Justin and Tony rent the farm’s facilities from Gary and have also bought additional shares in Prairie Gold on their own. Gary was diagnosed with cancer about 10 years ago, and relied on Tony, Justin, Pipestone staff and others to help with chores and management when he couldn’t go into the hog barns during his treatment and recovery. Looking back, Gary is thankful that the changes he made in the family farm allowed it to grow and thrive over the years and provide an opportunity for the fifth generation … and maybe more. “Justin does have a son, so who knows, he may want to farm someday, too,” he said.